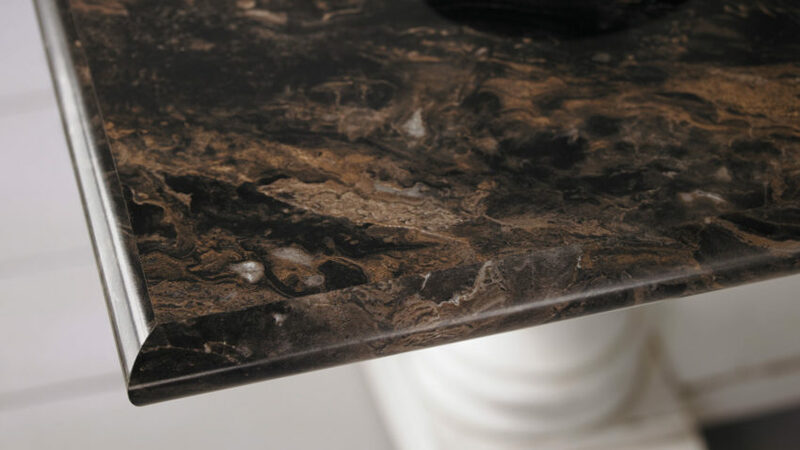 LC Ogee Edge countertops are available in approximately 7-10 business days with any Formica laminate color and can be ordered for kitchen, vanities, single rolls, and bars. This countertop style is typically fabricated and installed on job site. We can also fabricate in store for you to install. Depth can be adjusted between 4″ – 52″. Backsplash laminated directly to sheetrock wall can ONLY be installed on job site. Standard depths of 12″, 15″, 18″, 26″, 27″, 32″, 36″, and 45″.